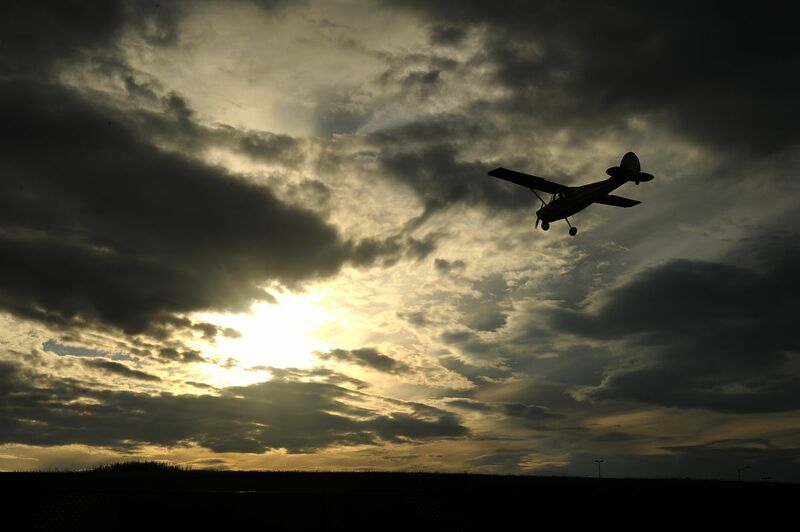 Rural Alaska communities rely on this program for air travel. Now it might be going away. Air carriers and people in rural communities around Alaska say that President Donald Trump's proposal to gut a subsidy program that allows more affordable flights to and from villages would sever a key lifeline to services and goods. Trump's proposed budget blueprint calls for eliminating funding for the Essential Air Service program, which subsidizes flights around the country, allowing regular air service in communities where it otherwise wouldn't be economically viable. Used in about 60 Alaska communities, the program affects more parts of Alaska than any other state. In villages in the Aleutian Islands, Southeast and the rest of Alaska where there is no road to connect people to a larger hub where they can get medical care, prescriptions and groceries, air travel is a part of everyday life. Without the Essential Air Service program, carriers speculate that ticket prices might go up and service frequency might go down, if regular flight service remains in such remote hamlets at all. "If it was cut, charter would be basically the only option for them," said Erik Howard, co-owner of Kodiak-based Island Air Service, which in February had about $140,000 in contracts from the program and serves nearby communities including Amook Bay, Seal Bay and Port Williams. "They'd be forced to charter a plane whenever they wanted to (leave)." Trump's budget proposal is a broad overview, and far from final. The budget still needs to go through Congress, and much is expected to change. In the past, members of Alaska's congressional delegation have fought for the program when it has been threatened. Last year, Republican Rep. Don Young refused to support a bill overhauling the Federal Aviation Administration until it maintained funding for the Essential Air Service, Politico reported. In 2011, Republican Sen. Lisa Murkowski and former Democratic Sen. Mark Begich both defended the program in the face of cuts. Alaska currently gets about $21 million in federal subsidies from the EAS program, out of a total of $175 million allotted for the program nationally. Though not all of them use it, more than 230 Alaska communities are eligible for the program, said John Binder, deputy commissioner of aviation for the Alaska Department of Transportation and Public Facilities. About 82 percent of Alaska communities aren't connected to the road system, according to the state's transportation department. Of the 60-some locations served by the EAS program in Alaska, only six are connected to the road system, but all of the communities are remote. The six that are connected to the road system aren't necessarily conveniently linked: McCarthy, for example, has a road, but no road maintenance in the winter. When news of the EAS going on the chopping block came out, Binder said, his department immediately contacted the delegation. "Of course, they're rallying all the other states too," he said. "(Without EAS), in many cases the seat tickets would have to be so high to remain profitable for the carrier, it wouldn't be affordable to passengers." There's no way to know how much of the subsidy is allocated specifically to ticket prices, Binder said, so it's hard to put a price tag on the impact for people in rural Alaska. But some rural Alaskans are quick to mention just how crucial the program is. Chris Emrich, the city administrator in the Aleutian Islands community of False Pass — population 35, according to the U.S. Census in 2010 — said even though he isn't a fan of government subsidies, he thinks getting rid of EAS would "kill Bush Alaska completely." "It makes year-round flights affordable, to make sure we get our mail and prescriptions — that's what makes that even remotely possible," Emrich said of the program. "Otherwise, it'd be basically charter services." To get from False Pass to Anchorage, Emrich said, residents need to first connect in Cold Bay. He said he's seen tickets as high as $900 to $1,000 for round-trip airfare to fly the 974 miles to the city. That's a comparable distance as flying from Chicago to Dallas. People living in Manokotak — population 442 in 2010 — have to first fly to Dillingham to get to Anchorage, said Manokotak city administrator Nancy George. She's concerned about prices going up if the program gets slashed, adding that getting to Anchorage and back can already be about $600. "Dillingham is our major hub for distribution and they provide services like grocery, DMV, bank, hospital, basic supplies. A lot of supplies, all of that crap that we have to live by," George said with a laugh. "We do rely on those bush planes, like Grant Aviation." Manokotak does have a store, but the selection is sparse, George said. "One brand of mayonnaise, one brand of ketchup," she said. "Not multiple brands that you see at Carrs or Wal-Mart." And flight service to and from these far-flung villages isn't just about transporting passengers; it's also usually the only way mail and other goods get to town. Bruce McGlasson, president of Grant Aviation, said there are several areas in the state that depend on the EAS "to have any reliable, consistent service." As of February, Grant had contracts for about $8 million in annual subsidies from the program, the second most behind Alaska Airlines. "I'm not sure what we would do," he said when asked about how Grant would adapt if the program were to go away. "We don't want to discontinue air service to a place where it's the only service. We would probably have to reduce frequency of flights into those villages." For Alaska Airlines, the biggest impact of the EAS program is on communities served in Southeast Alaska, said regional vice president Marilyn Romano. Alaska Airlines jet service might not be available in Yakutat, Cordova, Gustavus, Petersburg and Wrangell without the program, she said. Alaska Airlines had about $9.9 million in annual contracts from the program in February. Romano and McGlasson both believe there will be some kind of political pushback that keeps the program around, despite Trump's initial proposal. "I tend to think they'll leave us alone," McGlasson said. "We're really a small percentage of it, but totally dependent on it because of the lack of road infrastructure." In the past, Murkowski has said that the program is essential in Alaska, rather than a luxury, because of how unique the state's transportation system is. Emrich, in False Pass, doesn't think it even makes sense to compare Alaska towns that are served by EAS to towns in the Lower 48 that benefit from the subsidies. "To be on that same list, it's not even really the same ball game," he said. "It's the difference between convenient and quick, to even being possible."